As educators across the world celebrate Computer Science Education Week, it’s important to remember that STEM education, Coding, and Programming are to be explored more than just during the Hour of Code. How can we bring Character Education to the Social and Emotional Classroom? 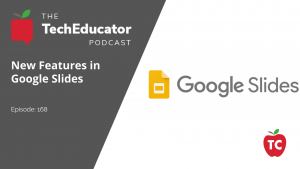 In this episode of the TechEducator Podcast, we take a break from tech and discuss how educators and parents can address a students social and emotional status. 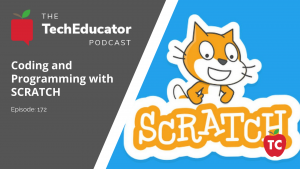 Can you use Scratch Based Coding to Teach Social Studies? 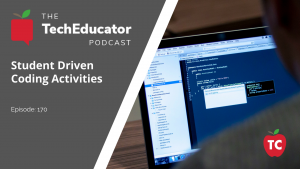 In this episode of the TechEducator Podcast, we take a look at creative things you can do in your Social Studies classroom that bring Creativity, Collaboration, Critical Thinking, and Communication to your students. These examples can be adapted to students of all grade levels and many of them involve coding and programming skills… something you don’t usually associate with the humanities classrooms. 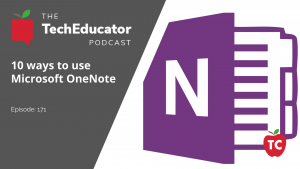 In this episode, you will learn how Microsoft OneNote can be used to help you organize not only your classroom but just about every part of your daily activities. As most students have already begun learning about Computer Science, these three activities can be easily brought into any curriculum or subject area. Should Your School Adopt @MicrosoftEDU as your Instructional Technology Platform? 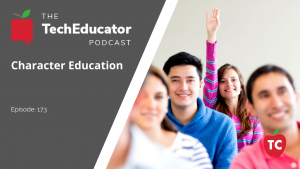 In this episode of the TechEducator Podcast, we welcome Frank and Shannon from the Microsoft Education team on the program and Rob Dixon from Nebraska to discuss how Microsoft Education is being implemented in school districts worldwide to meet the needs of districts, teachers, classrooms, and most importantly … students. 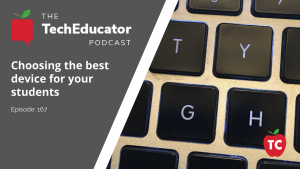 Does Your School Have The Best Devices For Your Students? 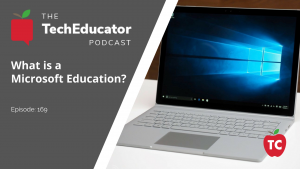 In this episode of the TechEducator Podcast, Jeff and Sam discuss the differences between iPads, Surface Tablets, and Chromebooks to determine what is it exactly that makes a school district put it's educational philosophy and future into a specific brand of products. What Makes Great Professional Development? 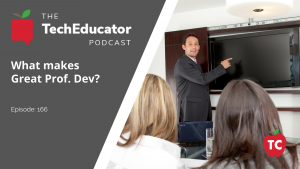 On this episode of the TechEducator Podcast, we reflect on a recent workshop that I attended that focused on best practices for providing professional development sessions to adults. Should Teachers and Tech Companies Work Together? 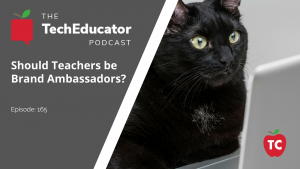 This week on the TechEducator Podcast we discuss a recent New York Times article that focused on the topic of Teacher Ambassador Programs. 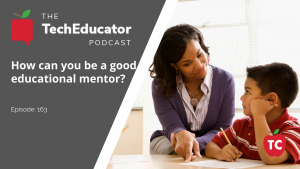 How Can I Be An Effective Mentor To My Peers? 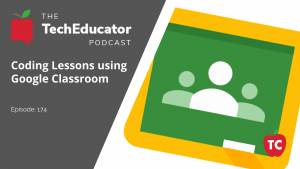 As the world of educational technology grows by leaps and bounds each year, school districts are more and more looking to bring in Instructional Technology Coaches to assist in providing personalized professional development to their teaching staff. 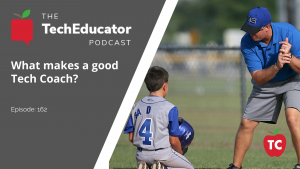 In this episode, we discuss instructional coaching from several angles and share how you can be a successful tech coach in your district with a little help from persistence and innovation.